SAFE PLACE associated with our sobriety living brand, means we intentionally not publish address or contact number for our "Sober Living" property. Thus providing our guests the utmost respect of privacy and allowing them to recover without fear of unwanted publicity. Images and snap art posted are designed to offer the realm of staff qualification, but designed to protect identity given the complex nature of our clients and everyone's right to privacy. SAFE PLACE means everyone in recovery including staff sign nondisclosure agreements and the rest is learned upon arrival. For more information about any of our sober living properties, please call the main number at 800.939.7216 or email managesobriety@gmail.com. Once you take the first step to decide to make a "Lifestyle" change, start exploring your rehab treatment and recovery options. This is the second step in the recovery process. When looking for a treatment facility, you need to keep in mind that there is not a "one-size-fits-all" approach to treatment that is right for everybody. You will have the most success when you find a treatment plan that is tailored to your needs and that is where Assisted Living Lifestyles takes the lead. The treatment plan that you select should deal with your alcohol or drug abuse, or your behavioral addiction, but ideally, it should also deal with any underlying issues that you have, including problems with your friends and family members, your professional life and your mental health. 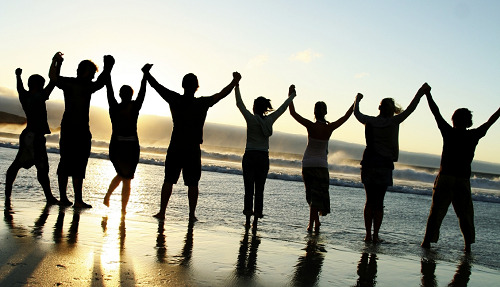 Together we will find an addiction treatment program that is right for you. Then, commit to it! Being committed to the process increases your chances for success dramatically. If you are ready to change, we will help you find a treatment facility by using our toll-free help center. Sobriety comes from completing a drug abuse rehabilitation program which are among the first major parts of one's recovery, but once you are sober, you will need to essentially retrain your brain to want to avoid drugs. This is by far one of the most difficult parts of the equation. Helping to give you the support, guidance and get you on the best course of recovery and be completely "craving-free" is a lofty goal, and one that not everyone can achieve. Rebuilding your life, your hobbies and, in some cases, the love around a healthy life is a time-consuming but critical part of the process and can ultimately be one the most fulfilling. Ideally, you should get involved in activities that you enjoy and that make you feel valid and important. After completing drug abuse rehabilitation, many people turn to volunteering, or others start a new hobby. Setting life goals can be an invaluable part of your health is also important. Addiction recovery process is to forgive yourself if you have a relapse. Relapses can be frustrating, but they can also be a learning experience. If you are suffering from a relapse, you probably need to find another program. Contact us at (800) 939-7216 and we will help you get back on the wagon. Relapses can be caused by various triggers. Many people relapse when they are in a negative emotional state, and others relapse because they are experiencing physical discomfort. Some relapse because of social pressure. Regardless of why you have relapsed, it is important to forgive yourself and make a plan to get back on track. Many self-help groups use 12 step-programs which are ideal for some and off target for others. Our mission is to help people who are struggling with addiction. According to the National Institute on Drug Abuse (NIDA), the use of the 12-step model can be an invaluable part of the recovery process. Yet not everyone fits perfectly into that category and our company helps to identify the "individual" program the is the best fit for you or your loved one. These groups provide social support to people when they need it, and this support can help addicts maintain a healthy journey to approach to drug abuse and alcohol abuse recovery through finger organizations AA, NA and CA among others. 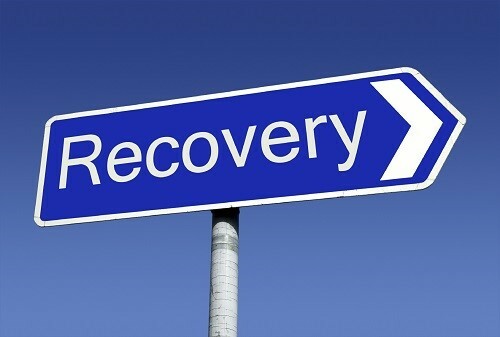 The journey to addiction recovery will vary depending on the program you use. However, the addiction treatment process are detailed. By taking this process one step at a time, you can improve your chances of being successful. If you are ready to start this process, we are ready to help you. When you call us at 1-888-881-9034, you are taking the first step, and we will help you find a substance abuse rehabilitation program that is right for you. Our Detoxification Program is the First Step in the Recovery Process.At Assisted Living Lifestyles Detox Centers we understand the worries and concerns many people have when getting started with addiction treatment. Our staff respects every client and values the trust that you have placed in us by choosing our facilities to begin your journey toward recovery. We make every effort to exceed your expectations and make sure your detoxification is as comfortable as possible. We know from experience that a successful detoxification is the first step in addiction recovery. Individualized Detox | Every client's treatment program is individualized. They are based not only on the type of drug you are detoxing from, but your own comfort levels, tolerances, and personality. Comfortable Detox | We understand that detox is a very uncomfortable process. Because of this, we seek to maintain the highest levels of relaxation and minimize discomfort. Continuum of Care | Addiction does not end with detox. We have connections with the highest quality and respected rehabilitation facilities to ensure that you have the best chance at long-term recovery. 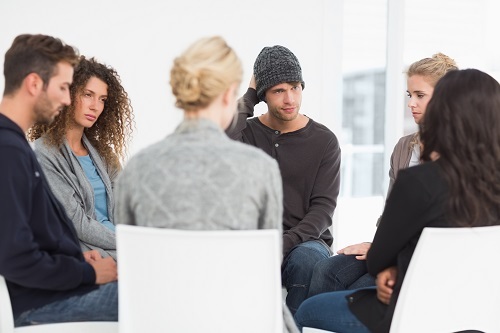 Group Therapy | Group therapy is an integral part of rehabilitation, so we offer group therapy sessions to help clients connect and encourage each other throughout the process. We look at the big picture and take that approach to addiction recovery treatment - addressing the individual's "total" lifestyle in relation to substance abuse, alcohol, gambling, bulimia, and binge eating addiction and partner with family throughout the treatment process whenever possible. Our programs, inpatient treatment centers don't just focus on problems; we strengthen the individual and focus on the future. We look into what has failed you in the past and what triggers cause your relapse. Weather using a 12 step program or intensive a tailored therapeutic program that will empower your sobriety, assisted living lifestyles can help you make better choices to foster your sobriety. Adolescent Treatment | Not many drug and alcohol addiction treatment programs cater to young adults under the age of 26. Our programs help adolescents led by caring, licensed professionals- many who are in recovery and all of whom have extensive experience in treating adolescents. We have seen a higher rate of success among our younger clients. We pair males and females between ages 13-17 with a program that fits their individual addiction, type of substance or alcohol, their personality and their individual history. From the moment a client walks through the doors, we involve his or her family in the entire process. Clients also receive individualized treatment to help foster self-identity and an understanding of the experiences that have led to substance abuse. From individual addiction treatment counseling and anger management to spa, yoga and fitness, we apply research-based treatment and the various philosophies not limited to 12-Step programs to optimize mind, body, and spirit in a calm, serene and adolescent-friendly atmosphere. There are programs form boot camp interventions, to resort like getaways that help individuals realize their recovery potential. There is no cookie cutter approach and our group helps to identify the best fit for the individual. © 2016 Assisted Living Lifestyles. All Rights Reserved.